The Guardian online have published a piece on the prospective reclassification to some of the hills in Britain if Ordnance Survey changed the height of their datum point based on current or future mean sea level. The original article and a link to it on The Guardian website appear below. Some peaks that are just a few centimetres above minimum height face being downgraded amid advancing seas. 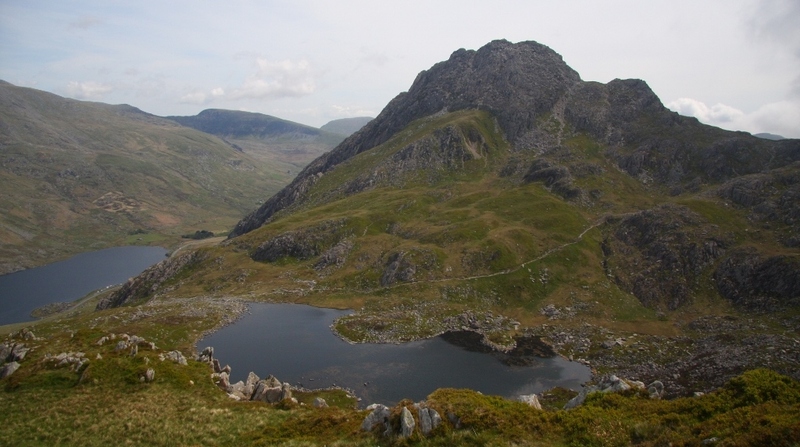 Rising sea levels could topple the proud status of some British mountains, reducing them to the status of mere hills. Those in greatest danger of demotion include a peak in the Yorkshire Dales that was only reclassified as a mountain a few weeks ago. The Ordnance Survey (OS) uses mean sea level as the starting point for measuring the absolute height of mountains, which must be a at least 609.6 metres (2,000ft) above sea level – but several peaks in England, Scotland and Wales are only a few centimetres taller than that. Mean sea level, the halfway mark between high and low tides, is measured by a gauge at Newlyn in Cornwall. But the point used by the OS was established almost a century ago, and since then sea levels have risen and are continuing to rise at an accelerating rate, mainly through climate change. Calf Top in the Yorkshire Dales only achieved mountain status in September, after the OS determined its true height is a few centimetres taller than was concluded when it was last measured in 2010, putting it just over the required height for a mountain. Any change in the base point would knock it back down again. Myrddyn Phillips is an amateur surveyor who worked on Calf Top with Hill Data and Mountain Surveys, one of several amateur groups whose hours of unpaid work, out on the slopes in all weathers, has produced new data that has been accepted by the authorities. Thack Moor in Cumbria also recently became a mountain through Phillips’s work with John Barnard and Graham Jackson, of G&J Surveys. Their measurements, repeated at the request of the OS, confirmed its true height was just 2cm over the 609.6-metre qualifier. Phillips was enthusiastic about the possibility of change: “That would be fantastic; on the whole I like change. “It will be incredibly interesting if Ordnance Survey change their datum point as this will affect all known heights throughout Britain, and even if this change equates to only 40-45cm it will affect a multitude of hill and mountain classifications,” he said. A change could affect the status of many sites cherished by walkers who like to tackle all the mountains in a group, including the Munros in Scotland, which are all over 914 metres (3,000ft), the slightly less challenging 762-metre (2,500ft) Corbetts, and the Hewitts, Nuttalls and Deweys in England and Wales. “In a general sense it does not matter whether a peak is classified as a hill, mountain, Munro or a Pedwar [a hill in Wales between 400-499 metres], but we do seem to have an inner need to categorise and this is as applicable to hills as any other form of commodity,” Phillips said. He acknowledged that many people would be upset if their cherished mountain view was downgraded but insisted it would be an exciting process.